…llo? Can Y-Y-Y-Y hear me? Hello? There we go. Get into a fist fight with a carrot! Skate in the trail of a boy made of ice cream! Lose yourself in the Enchanting Vale of Zong! Beware of the Horse Brothers – a horse and seahorse intertwined for maximum battle flexibility! Equip special Cards like the Transcendacle, the Pause Poncho or the Chronoflange! Hang out with Holograms of all your friends! Reach the top of the fabled ‘Streaks Leaderboard’ by beating the Daily Challenge repeatedly, without ever failing! It’s pretty great, if I S-S-S-S-S so myseL-L-L-L-L-L…^^^###”££***=;;;//?…. —four game modes: Standard, Daily Challenge, Seeded, and Practice Mode. The Daily Challenge mode has a special leaderboard which tracks and displays bragging rights for the longest streak of daily successes. Loot Rascals is available on the PlayStation Store and Steam for $14.99 with full English voiceovers and French, Italian, German and Spanish subtitles. 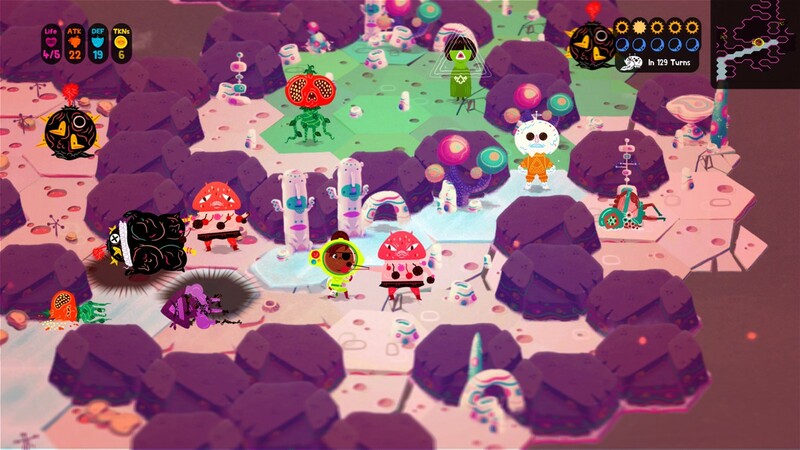 “We’re really excited for players to get their hands on Loot Rascals. It’s a deeply strategic roguelike with card sharing elements, cunningly disguised as a very silly cartoon”, says Ricky Haggett, founder and lead designer, Hollow Ponds. Founded by the Lead Designer of Hohokum, Hollow Ponds is comprised of roughly a dozen people who strive to create experiences with a wholly original playfulness and sensibility.